Soon after the ‘Hand Over Take Over’ had been completed, 9 Platoon found themselves conducting their second day of Advisor Force Protection tasks when they received a threat warning for a complex and insider facilitated attack on the New Ministry of Interior. On receipt of this developing threat, HKIA Force Protection Coy were required to consolidate back in HKIA and prepare to support any Afghan-led Search Operation in order to prevent the attack reaching its Execution Phase. HKIA Coy faced a rapid turnaround to facilitate search assets checking the NMOI for any sign of hidden weapons or explosives. 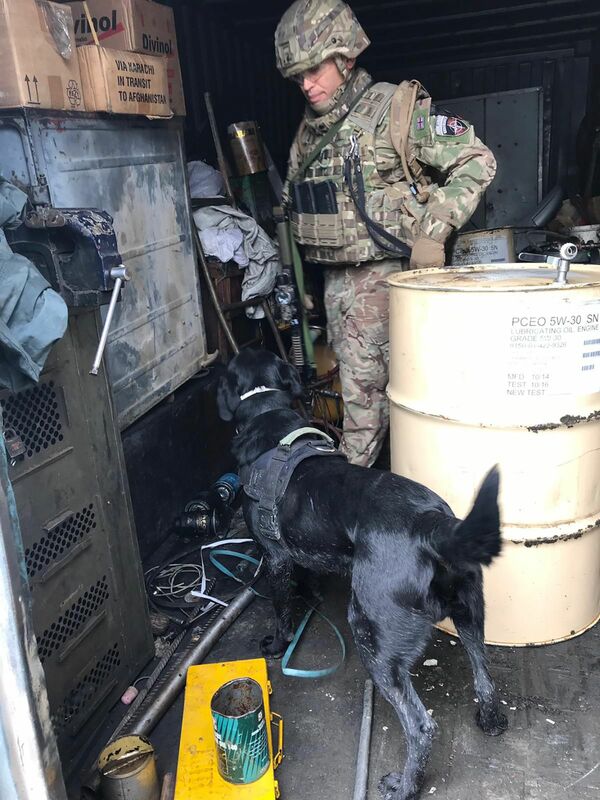 This included Ammunition and Explosive Search (AES) Dogs, and an Explosive Ordinance Disposal Team who deployed alongside a 9 Platoon Multiple. 9 Platoon also met with the Afghanistan search teams at the NMOI and provided a detailed ground brief to their commander. 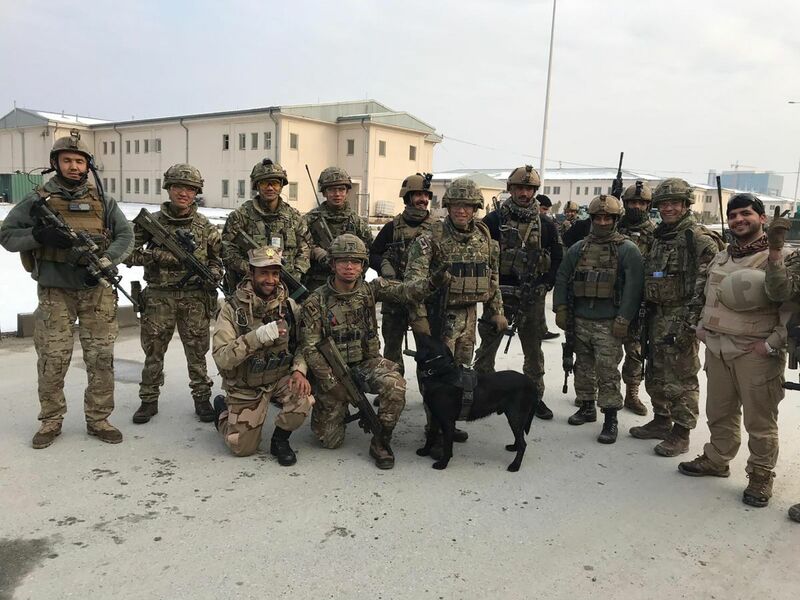 The Platoons detailed understanding of the site allowed the Afghan National Defence and Security Services to shape their Concept of Operations and searches were soon underway. 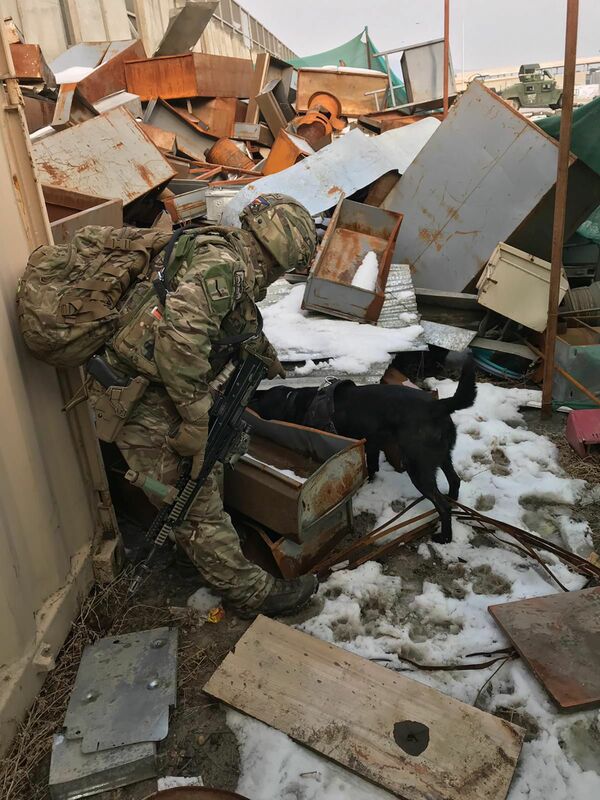 The Search Operation saw the Platoon and an Afghan Squadron fluidly clearing the Auditorium, employing the AES Dogs to search for hidden explosives and providing a cordon to prevent the ingress of civilians and NMOI personnel. 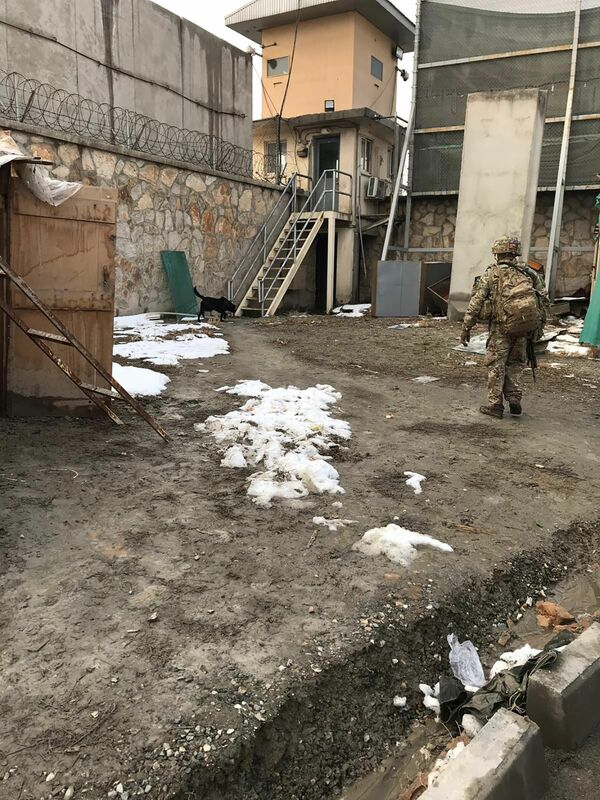 Once the Auditorium was secured and cleared, the Afghan National Defence Security Forces (ANDSF) evacuated the entire complex and systematically searched each individual. Concurrently, the Search Group undertook a methodical search of over ten large, multi-storey office buildings, with the intent to identify lethal aid that had been stored in preparation for the attack. During the search, we were able to identify a series of known and unknown weapon locations, pass the information to the Afghan Commander and verify the legality of the weapons. Thankfully all the weapons that were found within the complex were registered, but it did provide an insight into how an attack could be facilitated and where HKIA Coy could add value to the security of the NMOI. The Search proved to be a great experience for us, conducting an Operation in direct support of Afghan Forces and using assets that are not normally available to us. It was an opportunity to compliment our Afghan partners’ skills with sound intelligence from our own experiences within the site. The Afghans were extremely cooperative, a pleasure to work with and were a great example of the tactical progression that the ANDSF have undergone in recent years. In addition, it was a welcome surprise to see a familiar face from Sandhurst leading one of the Afghan teams, highlighting the benefits of training alongside our partners in Defence.